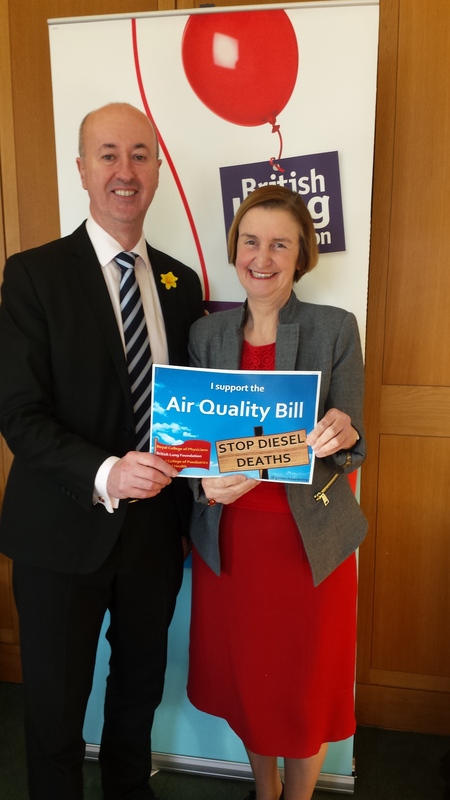 Nia Griffith MP, Shadow Secretary of State for Wales, has given her full backing to the Air Quality Bill which is being brought forward by Geraint Davies MP to tackle the scandalous number of deaths each year from diesel pollution. This issue has hit the headlines recently, with the death toll estimated to be 40,000 annually. 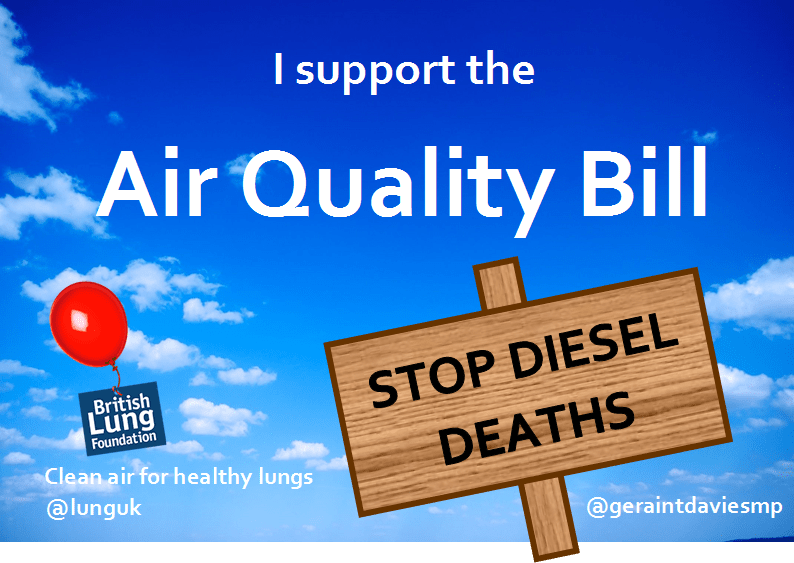 The Measures in the Air Quality Bill, which is being backed by the British Lung Foundation could save thousands of lives from diesel death and also save billions of pounds. The Bill requires the Secretary of State to make provision about urban air quality targets, requires vehicle emissions targets and testing to reflect on-road driving conditions, provides powers for local authorities to establish low diesel emissions zones and pedestrian-only areas, restricts the use of roads in urban centres by diesel vehicles and makes provision about the promotion and development of electric tram systems and buses and taxis powered by liquefied petroleum gas in urban centres.